As a general rule, I'm not usually a big fan of re-recordings of scores I love. The original recordings are almost always superior, and the rerecordings often feel redundant and superfluous. Sometimes, however, a reinterpretation of a score can open it up, enhancing the experience that, while not necessarily better than the original, allows us to look at a beloved piece of music from a new angle. 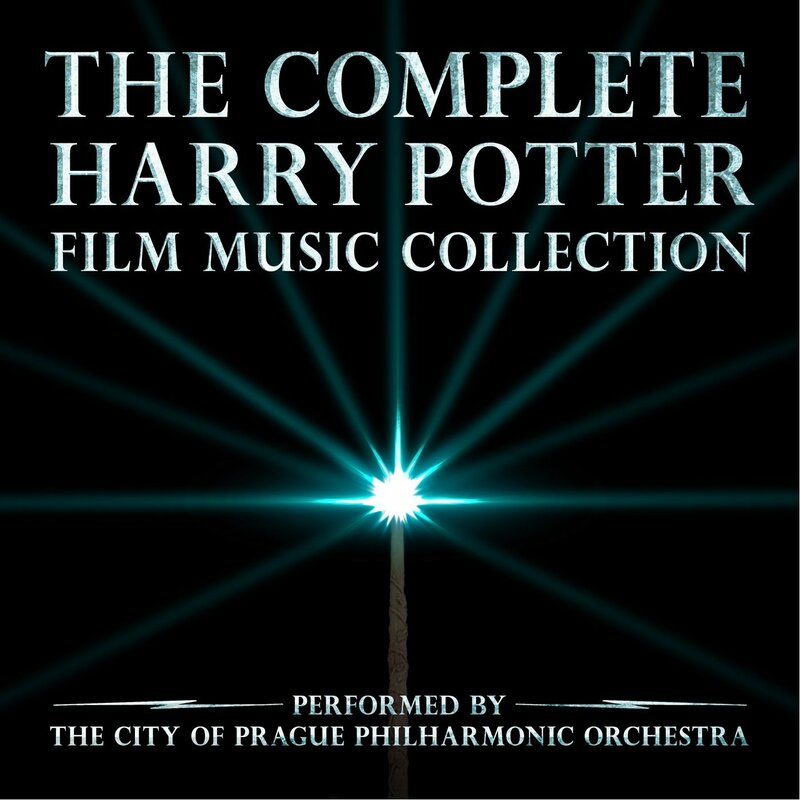 The City of Prague Philharmonic excels at such recordings, and has recently released two excellent albums featuring music from two of the biggest franchises out there - Harry Potter and Twilight. While I doubt many people would argue that the Harry Potter series has been stronger musically (and artistically), the music from the Twilight Saga has perhaps been its strongest asset. The two disc Harry Potter collection features music from all 8 of the films, but skews most heavily to the franchise's first four entries, Sorcerer's Stone, Chamber of Secrets, Prisoner of Azkaban, and Goblet of Fire. The album begins with John Williams' iconic "Hedwig's Theme," which really doesn't sound all that different from its original film version. Ditto "Harry's Wondrous World," the joyful theme for Harry's newfound magical home. It isn't until the third track, "Nimbus 2000," that the music begins to diverge from its original counterpart. In "Nimbus 2000," the orchestra plays with Williams' Quidditch theme, interpreting it in a fresh, fun and playful new way. The rest of the score, and indeed the entirety of "Chamber of Secrets" (which suffered from Williams' lack of involvement), sticks disappointingly close to the original recordings. They sound great, but if you already have the original soundtrack albums, then there is little need to add this CD to your collection. Prisoner of Azkaban on the other hand, which is arguably the finest score of the franchise, is also the highlight of the album. 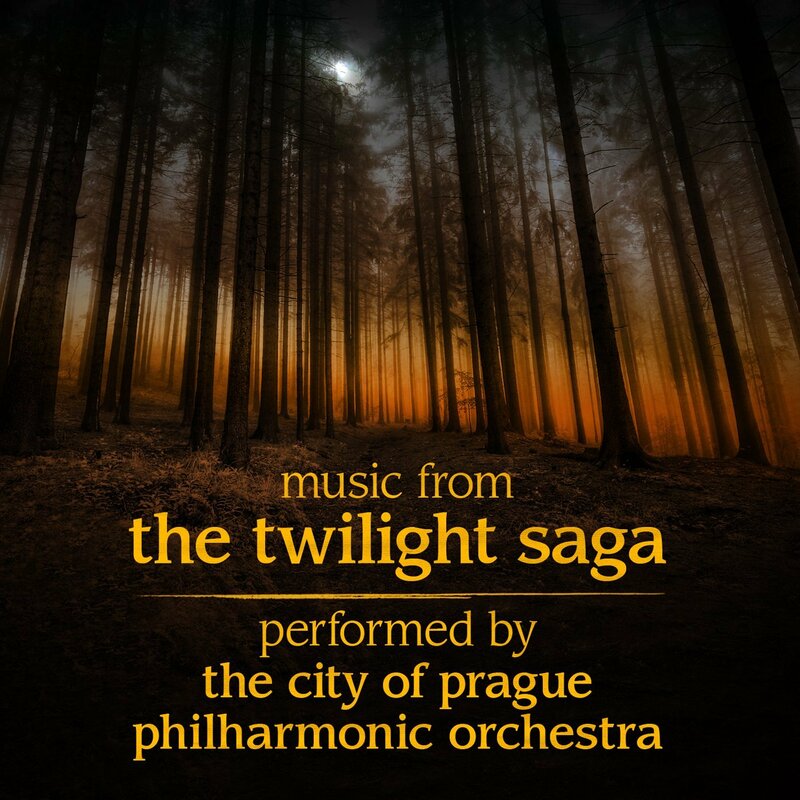 The Prague Philharmonic's epic interpretation of the song "Double Trouble" (featuring lyrics from Shakespeare's Macbeth) is easily the album's highlight, soaring to heights that the original recorded never did (but had no reason to). Freed of the constraints of fitting onscreen action, the music has a chance to breathe, and it's a bit disappointing that the Philharmonic didn't take the opportunity to interpret the rest of the music in a similar way. The melancholy family theme, "A Window to the Past," sounds similarly gorgeous, featuring grand flourishes that punctuate it nicely. Patrick Doyle's Goblet of Fire, perhaps the grandest score of the series, kicks off the second CD in style, combining the tracks "Quidditch World Cup" and "Foreign Visitors Arrive" into an epic introduction to the score. The rest of the score sticks disappointingly close to the original recording, slowing the action down in places but otherwise not leaving as unique an impression as Doyle's initial compositions. Surprisingly, the album then devotes five whole tracks to perhaps the franchise's weakest score, Nicholas Hooper's Order of the Phoenix, which remain as inconsequential here as they were in their original form (although they're actually a bit beefier here). It's a bit of a shock (and a bit disappointing) that there is only one cue from Hooper's far superior Half-Blood Prince included here, and it's not even the film's chilling central theme, "In Noctem." Instead, it's the mournful "Dumbledore's Farewell" cue, which doesn't really leave a lasting impression of what that score really was. 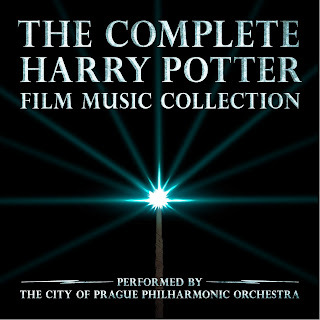 Likewise, there is only one piece from each half of the two part Deathly Hallows, closing the album out on Alexandre Desplat's "Lily's Theme." It would have been nice if they had used some of Desplat's excellent action material that he composed for the film, perhaps in lieu of some of the gratuitous cues from Order of the Phoenix. 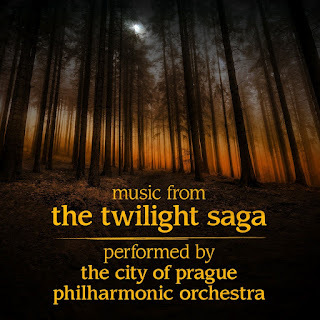 Because of that lack of equal representation, their "Music from the Twilight Saga" album actually fares better on the whole.Carter Burwell's work for the original Twilight actually sounds better here when separated from its more rock/electronic elements, but remains the weakest score of the bunch. The lovely "Edward at Her Bed/Bella's Lullaby" starts the album off nicely, but things don't really kick into high gear until track 8, which kicks off Alexandre Desplat's heartbreaking score for "New Moon." Far and away the best score of the series (and one of the strongest of Desplat's illustrious career), the music from "New Moon" is sweeping and romantic, and almost too good for the dismal film it accompanies. Unfortunately, the Prague Philharmonic doesn't really do much with it to stand apart from the original soundtrack album. I actually think the chamber music arrangements of the score from earlier this year were a much stronger re-interpretation than this overly faithful recreation. The inclusion of "The Meadow," a solo piano rendition of the main theme, is a welcome addition though, since it was not available on the soundtrack album (only as a part of the song-only album that accompanied the film's theatrical release). Howard Shore's Eclipse attempted to marry the contemporary sounds of Burwell's work with Desplat's more classical sound. The result was a mixed bag with one stand out theme for Jacob that is given a full piano performance in "Jacob Black," while "Wedding Plans" sends the rather dreary affair out on a surprisingly high note. Burwell returns for Breaking Dawn: Part 1, of which "Love Death Birth," and its grand statement of "Bella's Lullaby" is the definite highlight. The bouncy "A Nova Vida" breaks up the action with a bit of island flavor, before delving into the action-centric later tracks. There is not a strong ending, however, and it's a bit of a surprise that they didn't wait until the release of Breaking Dawn: Part 2 before releasing this collection. While there is a decided lack of new vision for these scores, this collection makes for a nice compilation of the best moments of these scores, faithfully recreated from their original versions. Those that already have the first four soundtrack albums may not find anything of interest here, but casual fans could certainly do worse. For a one CD "best of" collection of four different scores, "Music From the Twilight Saga" hits the mark.